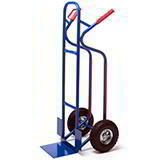 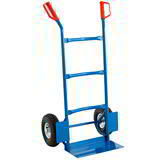 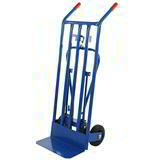 Quality handling equipment at quality prices! 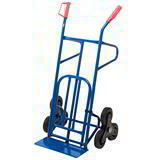 Give your back a much needed rest by letting one of our standard 150kg sack trucks take the load for a bit! 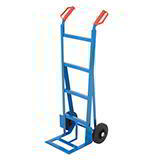 While our range of heavy duty sack trucks do so in a way that will make your job easier and more convenient. 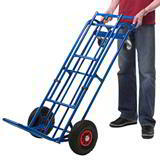 When access requires a bit more than just wheeling a load from A to B, our stair climbing sack truck with its clever free running pyramid wheel assembly will make the job just as simple. 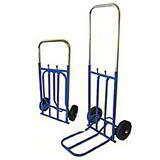 Or make the most of the space you have available in your delivery van by taking along a telescopic sack truck or folding sack truck. 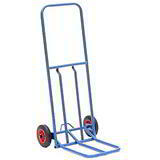 Finally, for the ultimate in sack trolley flexibility, our 3 in 1 sack truck won't just take up to a massive 300kg weight, it will do so over rough terrain and in a way that will make it even easier for you to use!